As an academic research library in a world-renowned university, the University of Southern California Libraries’ Special Collections and Archives collects, preserves, and provides access to many valuable historical collections. 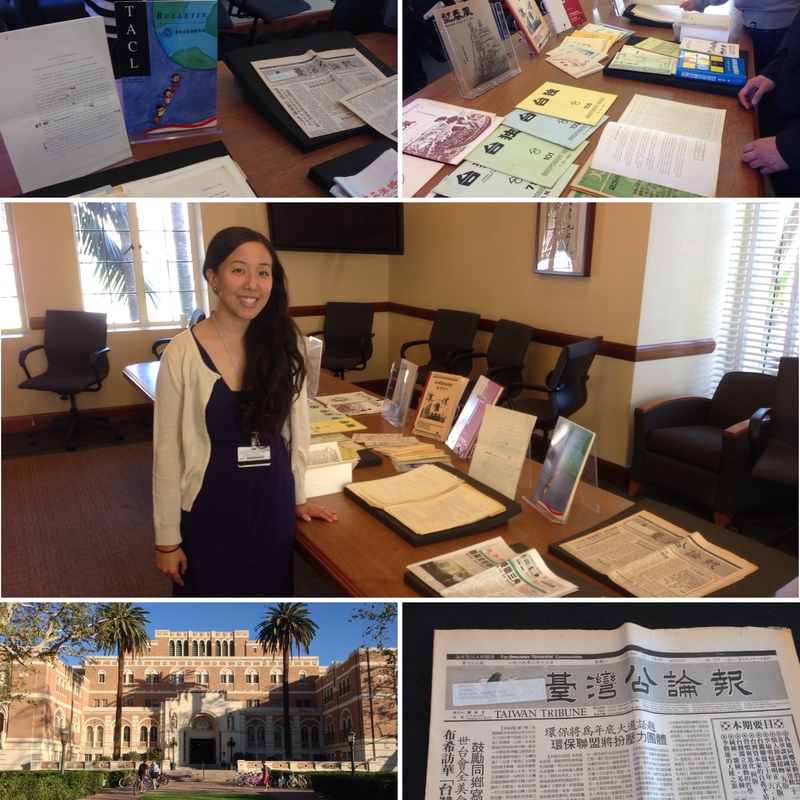 The initiative for the USC Special Collections and Archives’ Taiwanese American Digital Archive began as a documentation and outreach strategy proposed by 2015-2016 USC Los Angeles as Subject Resident Archivist Joanna Chen Cham, a second-generation Taiwanese American passionate about community archives and history, under the direction of USC University Librarian and East Asian Library Head Kenneth Klein. Overall, research conducted by Joanna Chen Cham of existing collections suggests that few Taiwanese American records have been collected. In many cases, Taiwanese American collections are largely overlooked and there is a large gap in the historical record regarding Taiwanese Americans in Los Angeles and in the nation, and USC is uniquely positioned geographically and through community ties to be able to capture this historical record before it is gone. In light of the Taiwanese American community’s unique history and contributions and the urgent need to preserve this history before it is lost, USC Special Collections and Archives is beginning an effort to actively collect Taiwanese American history. Therefore, USC is now proud to announce the beginnings of a new Taiwanese American Digital Archive at USC and to be one of the first universities to focus on preserving the Taiwanese American community’s unique history and contributions through collecting archival materials. Interested in the project? Email LAAS Resident Archivist, Joanna Chen Cham, at [email protected] or call (213) 740-6781. National Taiwanese American Women’s Conference in San Diego Maggie Hsu – Co-founder of Mochi Magazine for Young Asian American Women NYC Gala Celebrates TACL’s 30th Anniversary Help Us Build a Guide to Taiwanese American & Taiwan-Related Resources!